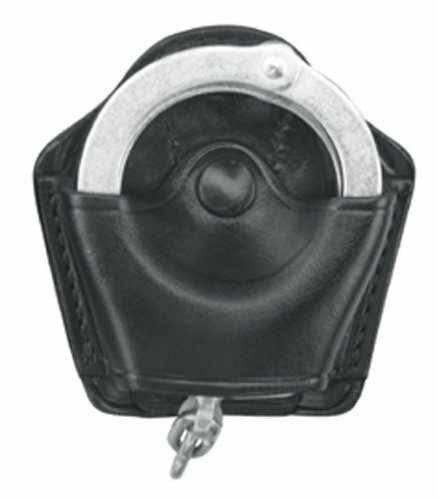 Gould & Goodrich B820 Gold Line Handcuff Case (Black) Holds most chain cuffs including S&W 200 and 300 and most hinged cuffs. This compact handcuff case has an easy-on, easy-off paddle. The Gold Line offers the best quality leather concealment products. See the deep molding and polishing. The Gold Line feels right...definitely. Holds most chain cuffs including S&W 200 and 300 and most hinged cuffs.